Kaaron Warren reads from Slights. Kaaron Warren’s award-winning short fiction has appeared in “Year’s Best Horror and Fantasy”, ‘Fantasy Magazine’, “Paper Cities” and many other places in Australia, Europe and the US. She is an Australian currently based in Fiji. She is married with two children and they have a cat called "Fat Tuesday". Her short story “A Positive” has been made into a short film called “Patience”, close to completion, and two of her stories were be part of a series of short, disturbing plays in February next year. She is currently working on a novella about the goddess Ishtar, and a novel about the washerwoman in history. She has stories in Ellen Datlow’s Poe anthology and also her Haunted Legends anthology. Her first novel, Slights, will be published by Angry Robot Books, followed by two more, “Mistification” and “Walking the Tree”. Kaaron Warren is a LibraryThing Author, an author who lists their personal library on LibraryThing. Kaaron Warren's book Mad Hatters and March Hares was available from LibraryThing Early Reviewers. 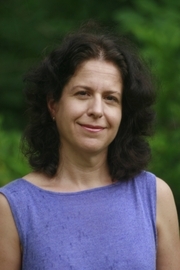 Kaaron Warren is currently considered a "single author." If one or more works are by a distinct, homonymous authors, go ahead and split the author. Kaaron Warren is composed of 2 names. You can examine and separate out names.